Ensure a smooth and timely project delivery with Warmup, the World's Best-Selling Underfloor Heating Brand. 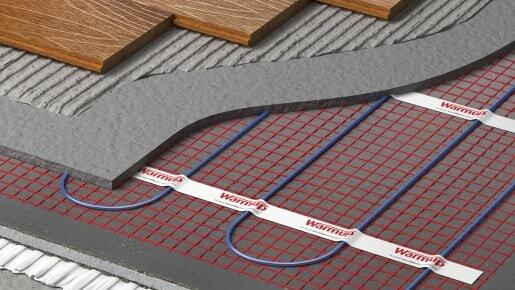 Ensure a smooth and timely project delivery with Warmup, the World’s Best-Selling Underfloor Heating Brand. Are you an architect, contractor, M&E consultant or developer planning on an efficient heating solution for your project? Warmup Underfloor Heating provides a bespoke floor-heating service specifically designed and built to suit your requirements. 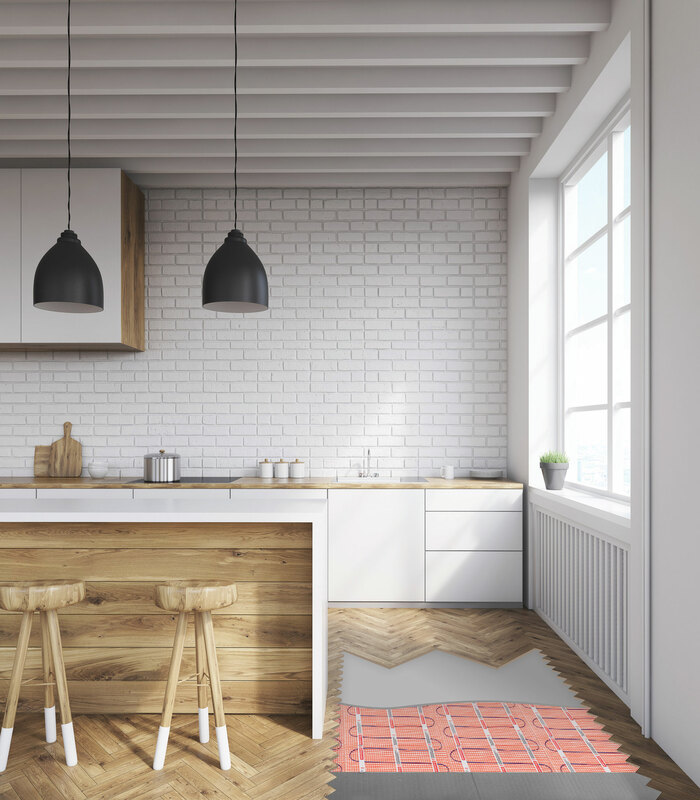 With over 20 years of experience in heating homes, Warmup offer optimised electric and water underfloor heating systems to bring cost-savings, energy-efficiency and design freedom to your project. Whether you are refurbishing a home or constructing a large development, Warmup is unique in the industry in not just supplying an underfloor heating system for your specification but working with you throughout your project; from carrying out heat calculations, technical drawings and ensuring a timely project delivery. With over 2.5 million homes currently being assisted in their heating needs by Warmup globally, Warmup pride themselves on being a company trusted by installers and engineers Worldwide with 24/ 7 customer support and lifetime warranties on many of their products. Their in-house Research Centre in Germany continually develops the existing product range whilst working on new heating solutions to meet the ever-changing heating requirements of today’s consumers. 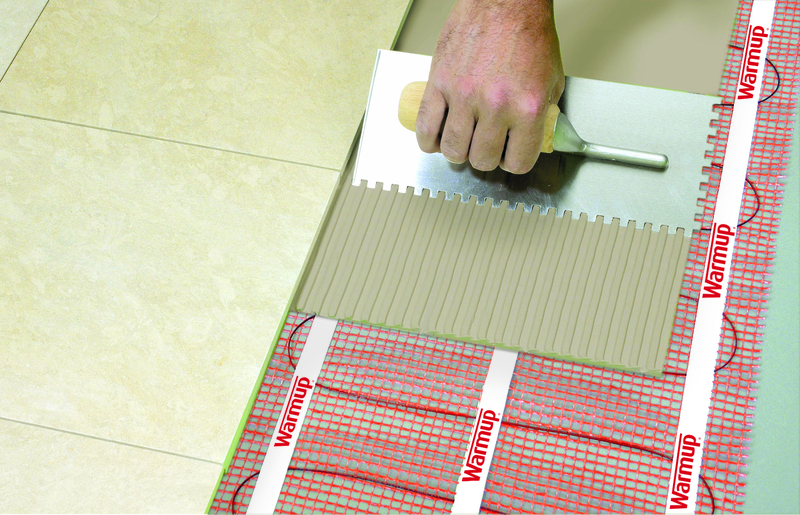 Warmup’s electric underfloor heating systems are highly suitable for refurbishment projects and nearly all systems can be fitted onto existing subfloors and work with almost all flooring finishes. 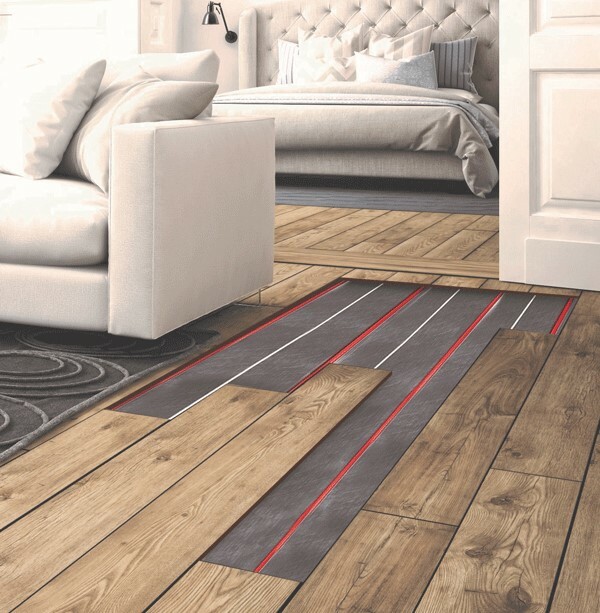 Warmup’s StickyMat system is an easy-to-control electric heating mat available in ready-sized rolls for a quick, hassle-free installation. 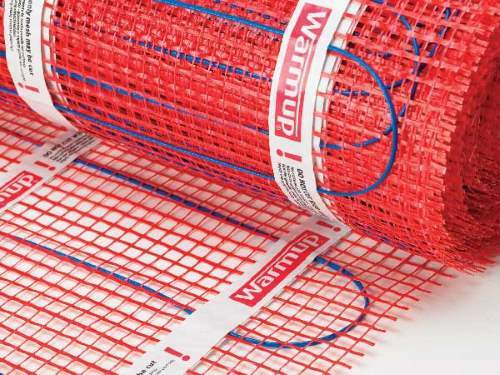 Its heating wires are spaced onto an adhesive-backed mesh mat for optimal heat output and its low-profile depth means it has a negligible effect on floor build-up height. The StickyMat system’s heating wire is strong and robust whilst being one of thinnest on the market at only 3mm and comes with a Lifetime Warranty. StickyMat was recently installed in the winning property of the ‘Best Interior Design: Private Residence, London’ at the UK Property Awards. 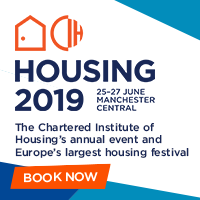 Warmup’s consultants offered guidance throughout the project, working closely with the client in finalising the system installation and zoning the underfloor systems for the perfect heating solution. Working alongside the StickyMat system, Warmup’s tough, cement-coated Insulation Boards were installed to maximise the energy-efficiency of this project. 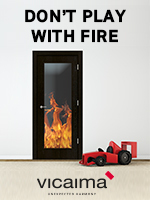 Coming in a range of thicknesses from 6mm to 50mm, Insulation Boards ensure a faster heat-up time for the system and reduce heat-loss. To control the heating system in this project, Warmup’s 3iE Energy Monitoring Thermostat was selected to provide personalised heating-schedules and energy-monitoring functionality; reducing energy-wastage and offering significant savings on heating bills. 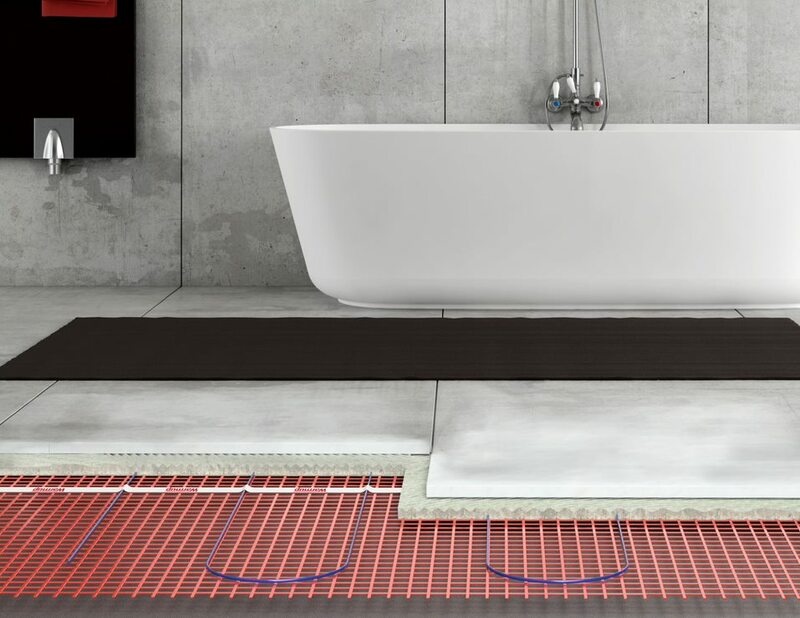 Hydronic Underfloor Heating, also known as Wet or Warm Water Pipe Floor Heating, is a heating solution that pumps heated water from a combination boiler or other heating source, such as ground and air-source heat pumps, through pipes within the floor construction. Warmup’s Metro Rail Hydronic System was installed within a prestigious development of eight private apartments in the UK. This system offers a unique strategy of installing the heating pipes by utilising a rail-based track connected to the Metro Insulation panels on top of the subfloor, onto which the pipes are securely fixed. With wooden flooring being specified in the project, Warmup were able to advise the client on the perfect water underfloor heating specification that would not overheat the wood. The Metro system also offered soundproofing qualities with high-quality insulation to prevent both potential heat-loss and noise dispersion. This project utilised Warmup’s renowned Pex-A heating pipe, a strong and durable pipe with great flexibility that also comes with a Lifetime Warranty for peace of mind. The whole system was again controlled by Warmup’s 3iE Energy-Monitoring Thermostat which guaranteed gentle, efficient heat-levels that protected the wooden floors throughout the development. Warmup’s research and development-led approach to design and innovation has given millions of homeowners a warmer, more comfortable and energy-efficient home. Call the Warmup Technical helpline on 0345 345 2288 for further advice or complete a quick quote online to enquire on prices for your project.